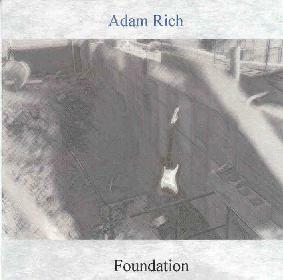 This is a short 7 track self produced CD by guitarist, bassist, drummer, Adam Rich. He started his own label, Love Muffin back in 1994 to release his own music. The tracks collected here were recorded between 1997 and 2001. All the songs are instrumental except 3, in which he has three different guest vocalists appearing. I quite enjoyed the underground feel of the work and the way Adam expresses himself with his guitar. The bio makes you think this is going to be some guitar god thing like Satriani but it is nothing of the sort. Adam is not a guitarist in that league by a long shot. This is quality rock with a little psychedelic edge, recorded in your basement studio with no holds barred. The CD ends with an all percussion number with Adam and a friend Mark Cohen having a little drum-percussion session. No guitar is listed in the CD but clearly Adam did a little noodling. For more information you can visit the Love Muffin web site at: http://www.angelfire.com/indie/lovemuffin. Contact via snail mail c/o Love Muffin Records; 996 Eastlawn Dr; Highland Hts, OH 44143-3126.